Lambert, Geoffrey. "Walter C. Weir". The Canadian Encyclopedia, 16 December 2013, Historica Canada. 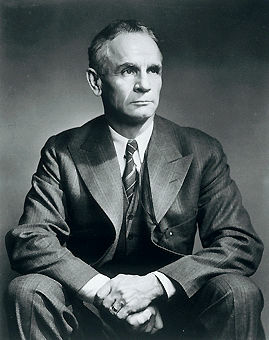 https://www.thecanadianencyclopedia.ca/en/article/walter-c-weir. Accessed 20 April 2019. Walter C. Weir, mortician, politician, premier of Manitoba 1967-69 (b at High Bluff, Man 7 Jan 1929; d at Minnedosa, Man 17 Apr 1985). A Progressive Conservative, Weir was elected to the Manitoba legislature in 1959. Walter C. Weir, mortician, politician, premier of Manitoba 1967-69 (b at High Bluff, Man 7 Jan 1929; d at Minnedosa, Man 17 Apr 1985). A Progressive Conservative, Weir was elected to the Manitoba legislature in 1959. He served consecutively as minister of municipal affairs and then as minister of highways under Duff ROBLIN. Of great personal charm, he was popular among his caucus and Cabinet colleagues, and their support enabled him to secure the party leadership in 1967. More conservative than his predecessor, Weir braked the pace of reform established by Roblin. In fact the principal aspects of his brief administration were government restraint, caution about medicare and opposition to federal proposals for constitutional reform and official bilingualism. Misjudging the public mood in 1969, he called an election ahead of schedule and was beaten by the NDP. 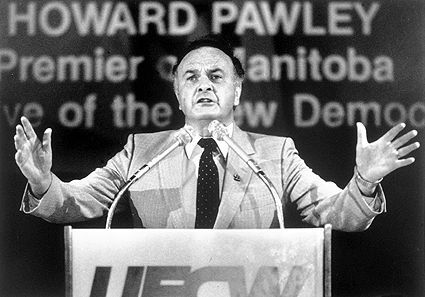 Widely blamed for the Tory defeat, Weir retired from politics soon after the Manitoba Conservatives set up a process of leadership review in 1970. During the Sterling LYON premiership, he served as chairman of a government commission on local taxation.